On Sunday January 25th children’s entertainment equipment, technical and production of MARMÚSICA enjoyed very special way a singular event in a landmark of the city of Barcelona: a children’s birthday at the Camp Nou. The most special of our children’s entertainers, Barçina, do not want to miss Marc’s birthday. The morning was filled with music, laughs, joy, games, dancing and… even a bouncy castle! Small guests (and not so small) passed it big with Barçina activities conducted flawlessly, funny and very original way, because all were essentially Barça (makeup, balloons, the games…). In the end of the party, events team of FC Barcelona, ​​positively surprised the guests with a tour of the Camp Nou; they could even walk near the grass of the field and take pictures as the real gamers! As in previous years , MARMÚSICA was with Irizar at the International Fair of the Bus and Coach, which was take place from 28th to 30th October in Madrid, in IFEMA. MARMÚSICA offered tu the event, the elegant and musical touch that characterized us. Our presence enlivened the Irizar stand with live jazz quartet, which helped to get a good atmosphere among participants, during the days of the event. This got that Irizar differentiate and stand out among participants and favored the success of the tandem MARMÚSICA – Irizar. MARMÚSICA consolidated company remains a leader in our sector. Our presence, once again, at the International Fair of the Bus and Coach is further evidence of this. Barcelona’s Restaurant Can Cortada was the perfect setting for an unforgettable flamenco show. On October 17, Events & Travels Barcelona recounted with MARMÚSICA, leading company in the field of animation, to liven up the night with the best Flamenco in Barcelona. Surely, MARMÚSICA’s flamenco was the perfect choice for the occasion. Under the watchful eyes of the guests, there was a first pass in which the force is felt that the bailaoras detached at each step; were accompanied by the art of Marcos, cantaor, and virtuosity of Javi and Roger, guitarists, no doubt, came to the soul of the audience. After a break of the flamenco group, during which the guests tasted great buffet of typical Spanish snacks, began the second pass, leaving the audience without words. Artists said goodbye with applause and cheers, and all technical equipment, production and artistic MARMÚSICA’s staff received congratulations for the well work done. Again, MARMÚSICA was the emotions essence in the event of love par excellence. On September 13, Carlos and Dusica decided to count with MARMÚSICA for all the musical moments of their wedding. The ceremony was a wonderful moment with live piano and voice music as Mendelssohn’s wedding march and the famous Jazz theme Cheek to cheek. Laura and Victor, production and technical MARMÚSICA staff were outstanding all the time, with timings and equipment and, of course, next to Ruben, definitely the best Dj statewide luxury weddings and corporate events senior. We have been there. This year we could not miss in the edition of the Wedding Fashion Night dedicated to the 20s, the Gatsby Glam Barcelona. On 17 and 18 September, MARMÚSICA was one of the participants in the latest edition of the WFN. In a privileged site of Los Tilos in Barcelona’s Pedralbes neighbor, we had the pleasure to entertain musically the event with the best music accompanying the visit of couples and companies, who came to the party. In MARMÚSICA we work to engaged couples or companies who want to tell us unique and special to create the most important moments. Therefore, the WFN was a very good time to meet new faces and new projects to make the wishes of customers; personalized and showing all our soul and emotion to make unique their most special moments. We wish to thank the organization of the Wedding Fashion Night 2014, for making us feel so comfortable and participate in this great event; and all who came to MARMÚSICA to ask for information or just to greet us. 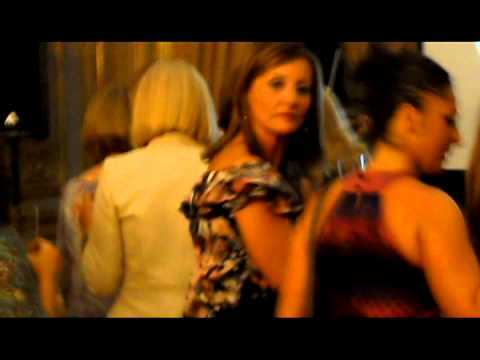 The famous Parisian brand Lancome trusted live music Marmusica its last event in Linares Palace of Madrid. The musical entertainment of the act of September 11, was conducted by Edgar, violinist and general manager Marmúsica in Madrid. The soloist played the violin’s famous signature tune that Lancome uses in its television commercials. Likewise arrangements for violin melody interpret that were previously made by the songwriting team of Marmúsica. No doubt violin musical beauty lived up to the beauty of architecture Linares Palace of Madrid deel. The event shined at all times for its elegance, and glamour that has always displayed the French brand Lancome as well as musical quality Marmúsica. Live music in Madrid has since the middle of last March with a reference name: Marmusica. The presentation of the company in the capital featured a performance of the prestigious orchestra of Marmusica. The young performers played under the energetic baton of maestro Edgar Martin Jimenez, violinist and conductor of long career, and general manager of Marmúsica in Madrid. The concert, which took place at the Hotel Auditorium Madrid, had a program composed symphonic works of great composers of classical music. Marmusica could not have a card of higher quality music. The evening was a success. 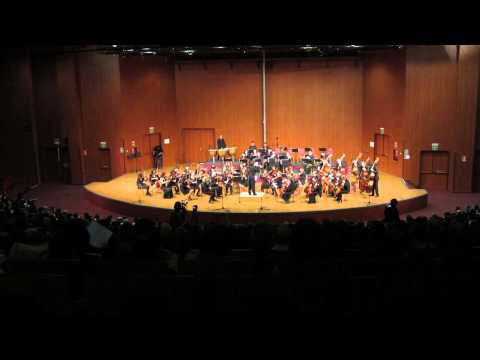 Both the young performers and the conductor received a standing at the end of the concert. The presence of Marmusica in Madrid wants to become a leading company of live music in this city, as it is in many others. The main objective is to offer also in Madrid event services of the highest quality, both for businesses and social events. For this Marmusica has excellent musicians of all styles, as well as professionalism guaranteed for twenty years’ experience dedicated to quality live music. Btv, Barcelona TV channel, did an interesting interview with Mar Vizoso, Marmúsica director. In Marmúsica we intend to continue working and growing up to remain the company of live music for events that leads the market in order to keep on offering high quality services for companies and for social ceremonies. Proof of this is the interest we awake, not only by our customers but also by the media. 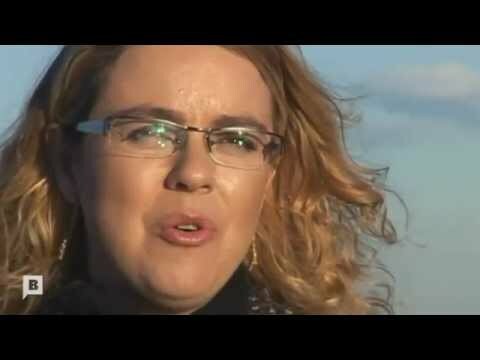 The backdrop of the interview was such a special place as descriptive of the essence of Marmúsica: the sea. More and more companies choose to offer to their customers the experience of enjoy live music at fairs and conventions for its many advantages, among which we emphasize the fact attract attention, arouse interest and create an atmosphere that is prone to give distinction for the optimal development of the aims of the event. Marmúsica is an established company in our sector. Its presence at the International Bus and Coach Trade Fair is further proof of that. 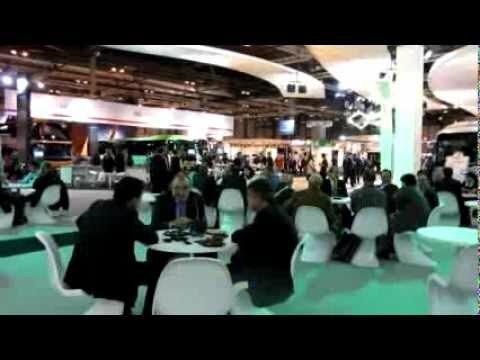 The FIAA 2012 was held at IFEMA, Madrid, from 23 to 26 October. 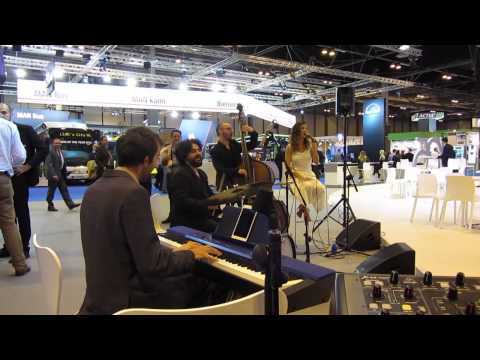 Marmúsica was bringing live music every day on the stand of Irizar, a prestigious business group whose main activity is the design, manufacturing and provision of buses and coaches. Our elegant and stylish Jazz quartet was a perfect background that helped to promote the success, get distinguish and differentiate Irizar, providing a nice and classy atmosphere. On 25 September, the City of Sant Just Desvern held its first Conviu Awards 2012. The purpose of these awards is to recognize, publicly, personal attitudes which represents an example of coexistence and civic values of citizenship. This year, twenty-one people received this award, held in the auditorium of the School of Graphic Arts Algueró Antoni. 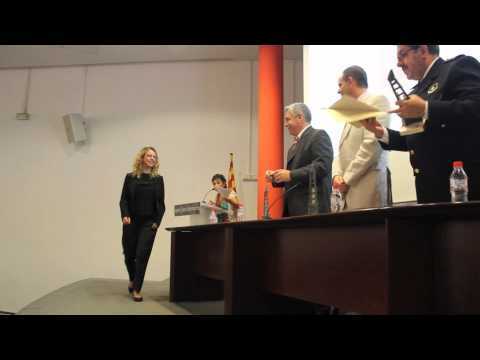 Mar Vizoso, Marmúsica director, was one of the people awarded for her entrepreneurship using the range of resources for young entrepreneurs offered by the City of Sant Just Desvern. Mar, pianist, cellist and composer, gave a brief interpretation, a piano duet with one of the sopranos of Marmúsica, to give a musical touch to the act. This time we will talk about one of the most important services we offer: the musical composition. More and more companies opt for musical creativity to promote their campaigns, which means music composed specifically to the needs of the customer. Recently Marmúsica has worked with Torres wineries, composing the soundtrack for an advertorial. This time it is a beautiful composition for piano, quiet, warm and comfortable, in which it is transmitted, according to the images, that emotion fruit set values of ​ Torres wineries.